"It will not go out of my mind that if we pass this post and lantern either we shall find strange adventures or else some great changes of our fortunes." 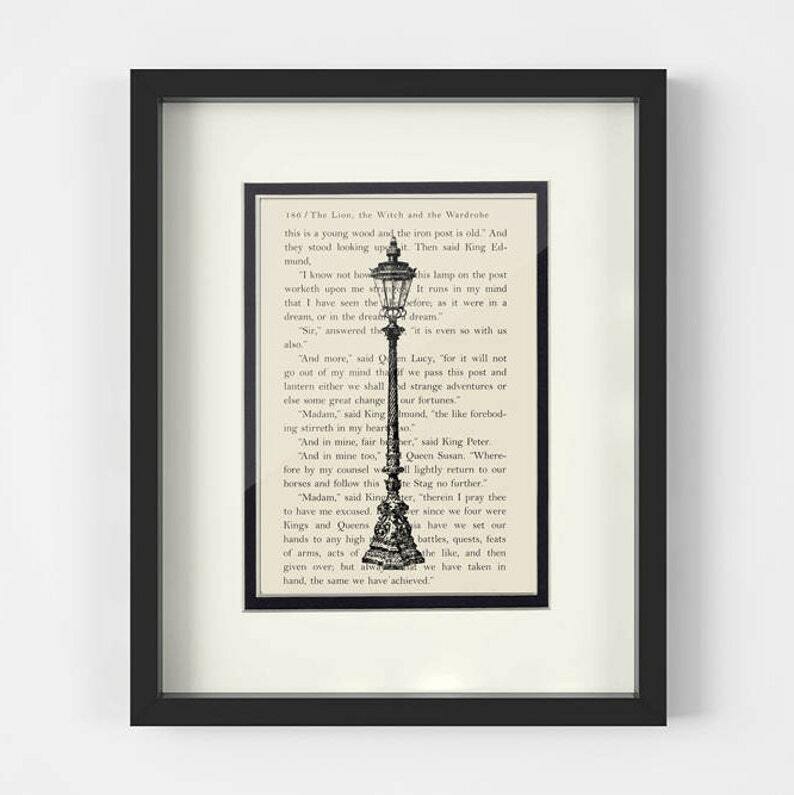 In The Lion, the Witch, and the Wardrobe, the lamppost functions as a beacon, showing the children the way to Narnia when the come into it from our world, and showing them the way back when they need to leave. Narnia Art Print. Vintage Light Post Illustration over a Vintage Narnia The Lion Witch and The Wardrobe Book Page. Mounted under an 8x10 creamy white mat with an inner black border. A unique one of a kind piece of artwork.